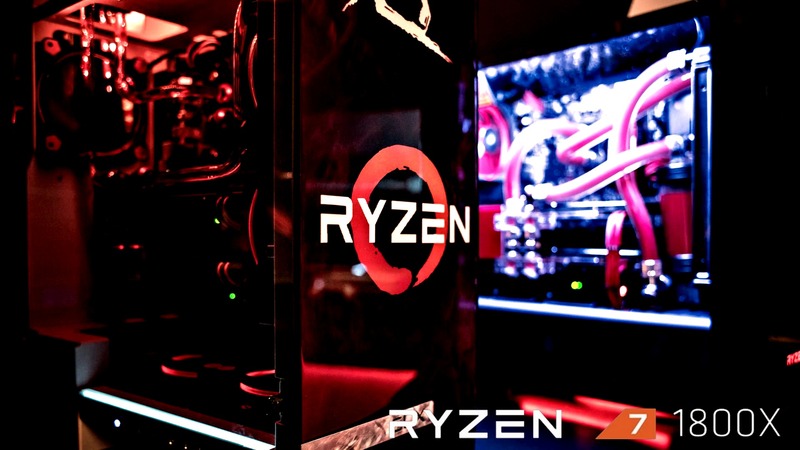 More AMD Ryzen 7 1800X vs Intel Core i7 6900K gaming performance benchmarks have come out. They show the $499 Ryzen chip winning a big lead — or should I say winning big league? — vs Intel’s fastest 8-core desktop CPU, the $1050 Core i7 6900K. 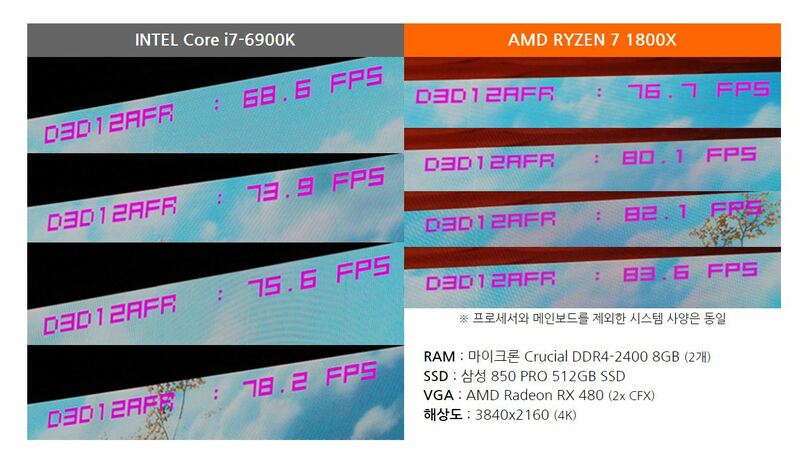 The performance comparison has been picked up by our friends over at VCZ after being spotted on Chinese hardware forums, where nearly all Ryzen related leaks seem to be coming from. The Ryzen 7 1800X delivered consistently higher framerates, averaging a 12% lead across the board. The 1800X is said to even outperform the Kaby Lake speed demon i7 7700K in single threaded performance and the 10-core i7 6950X $1700 desktop flagship Intel HEDT processor across the board with a one-click auto-overclock on air cooling. There’s also been some more performance benchmarks that have popped up in the SiSoftware Sandra Database a few hours ago. The results show a single Ryzen 7 1800X leading several multi-CPU Xeon enterprise systems in multimedia and cryptography performance. These results should obviously be taken with the usual grain of salt like any other synthetic test. For a more comprehensive performance overview of the Ryzen 7 1800X, 1700X and 1700 make sure to check out our recent article where detail a bunch of recently spotted single & multi-threaded performance benchmarks in CInebench R15, R11.5 and Geekbench. The embargo on reviews for AMD’s Ryzen 7 lineup ends on March 2nd. That’s when members of the technical press and media are expected to publish the results of their own independent testing. So stay tuned for more!